Everything you need for the perfect real pit barbecue picnic! Our Picnic Packs serve anywhere from a family of four up to thirty people (for larger groups drop us a note and we would be happy to custom build a picnic pack to meet your needs). All options include our three signature BBQ sauces (House BBQ, Vinegar and Spicy), plates, utensils and napkins. 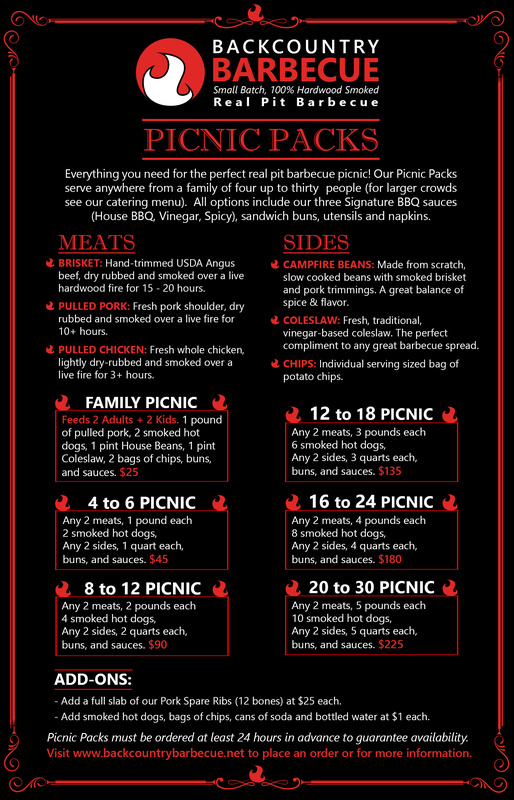 Click here to download our Picnic Pack Menu. ​Click here to place an order, ask a question or get more information.